High tack combines with excellent adjustability. Contains a powerful fungicide. 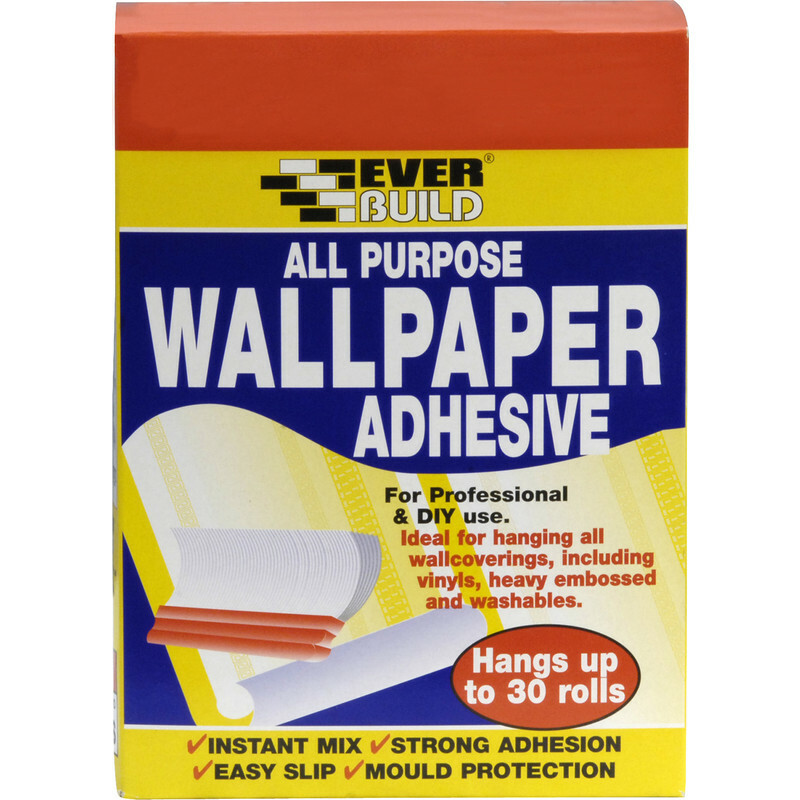 All Purpose Wallpaper Paste 30 Roll is rated 4.3 out of 5 by 12. Rated 5 out of 5 by Ltitle Jim from Good for all papers. Quick to mix. Comes in several sachets so very economical. Also cheaper than other brands. Sticks well. Rated 5 out of 5 by Billy111111 from Realy Good! Mixes smooth, thickens in about 30s, applies evenly to the paper and STICKS! The individual bags in the box makes it really easy to mix just the right amount of paste. Rated 4 out of 5 by Brizzleben from Product good but I was charged twice Good value wallpaper paste. Will use again but I asked for and got one box but was charged for two. Genuine mistake I’m sure but I didn’t notice til it was too late. Rated 5 out of 5 by SuperQ from Easy to be mixed and strong adhesive Used 3small bags from the pack for 6 roles of heavy wallpaper. So far so good. Rated 5 out of 5 by Moneysaver from VFM - Value for money! Used on heat reflection panels for the back of radiators (polystyrene backed). Worked a treat. Excellent 'open' time giving plenty of time to cut and position before the adhesive started to dry. Three minute mix, very smooth, no lumps. Worth it! Rated 5 out of 5 by Yeti from Does what it said on packet. Like the separate packets no waste. Rated 1 out of 5 by Shanick from Rubbish Wall paper coming off wall, does not stick properly, do not buy.